Destruction of mangroves: Mundra taluka was rich in its unique environment and biodiversity. Fishermen, farmers and cattle herders would run their business and occupation here. But the Adani company has ruined huge patches of mangroves forest that existed here. 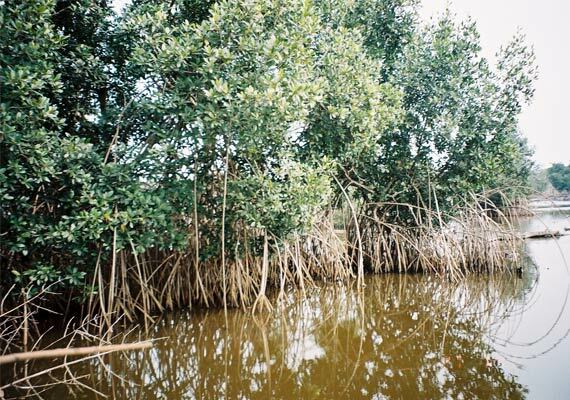 The mangroves forest was a kind of blessing for the people of the surrounding area as in times of famine. Cattle and camels would survive on mangroves during adverse times. Fishermen used mangrove wood to build their small ships and other implements. Fish breeding would take place in mangrove trunks. Mangroves would save the surrounding area from being flooded, tsunami or earthquake, and acted as a natural protecting wall. Such useful mangroves forest has been destroyed in order to build Mundra Port and SEZ. The surrounding area has been severely affected. In case the ship-breaking project is allowed, even the remaining patches of mangroves forest will be dangerously impacted. The company has not mentioned anything about the mangroves forest and the probable impact on it in its Environmental Impact Assessment report prepared for the ship-breaking yard. The EIA notification 2006 has been violated. The marine and ecology of the area have not been studied. 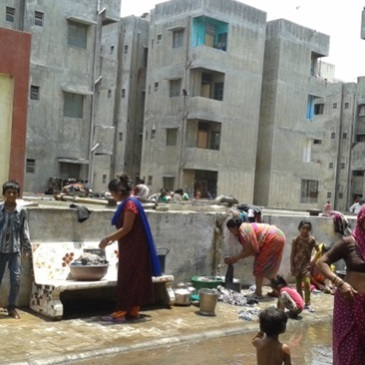 Filling up of creeks: The creeks of Mundra were filled by up by MPSEZ in order to reclaim land, which has been cited in the report of the Sunita Narayan committee of the Ministry of Environment and Forests (MoEF), Government of India. It has brought harmful impact of the surrounding area. The MPSEZ has filled up Koyla Vadi Creek, Navinad Creek, Dhaja Vadi Creek, Bharadi Mata Creek, Sonapar Vadi Creek, the creek near Old Port, Kotadi Creek- 1 and Kotadi Creek-2. These were all natural creeks and the fishermen of the surrounding 15 villages used these creeks as a path to enter into the sea. Valuable fish catches were available in these creeks. The area was full of mangroves. The EIA has not mentioned what would be the impact on these creeks due to ship breaking yard. 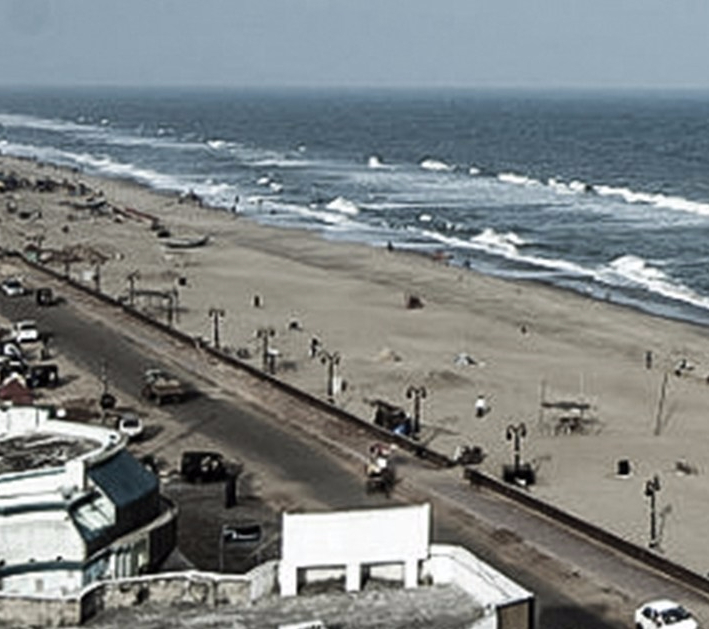 Demolition of sand dunes: In the coastal area of Mundra, there were sand dunes as high as 40 to 60 metres. High quality grass would grow on these sand dunes. Cattle herders of the area used to graze their cattle in this grass land for six to eight months. The land on which the company wants to build the ship-breaking yard contained high sand dunes. These have been demolished by the company. Such sand dunes would help against natural calamities. The ship breaking yard may lead to further destruction of sand dunes, accelerating the danger of natural calamity, severely damaging the environment as also human and animal population of the area. Nothing has been mentioned in the EIA report about this. Impact on fisherman: The importance of the Mundra taluka for the fishing community and their villages is next only to the Jakhau fisheries port. The sea shore along the taluka was used by fishermen from Mandvi and Gandhidham for fishing. Fishermen would get huge quantity of fish here, but due to the activities of the MPSEZ and Adani Power, the fisheries business has been severely affected. The fisheries production has decreased considerably. Due to this, major challenges have risen in front of the fishing community regarding their livelihood and economy of the area. With the ship-breaking yard, the area will be further adversely affected. Fishery activity will come to an end due to chemicals and poisonous materials released from the yard. This will create crisis for human beings. Impact on agriculture and horticulture: The land between Mundra and Mandvi is rich in horticultural crops and green farms. The stretch is known as its greenbelt, including rich green farms. Water of this area is sweeter than any other part of Kutch. The crop of dry dates is found only here in the entire India. This area has remained a green field due to dry date crop. But after 2005, due to the activities of MPSEZ, the dry date crop has been affected. The ash form the Adani Power Plant spreads over farms of dry dates which spoil fruits, and the raw fruits fall without becoming ripe. More, the dry dates are not as sweet as they used to be earlier. This has adversely affected the livelihood of those who lived on agriculture. The saline water of the ocean now invades the land, contaminating sweet water, adversely affecting ground water. Agriculture cannot be done in saline water. Thus, the area is already facing problems, and if the ship breaking yard is built here, the entire area will be further impacted. The rich farms and agriculture will be destroyed, and this will trouble the farmers. Impact on animal husbandry: In the whole of India, only Kutch is the only district where animal population is more than human population. Mundra taluka has been a leader in animal husbandry and related business. Sweet water, vast gauchar land, forests, etc. which are a requirement for animal husbandry, are found here. The business of milk and items made from milk flourished in this area. But as the Adani Group has acquired most of the gauchar land and government waste land, no land is left for cattle breeders and animal husbandry. Milk and milk production has decreased. Cattle breeders have lost their economy. Impact on traditional culture: Mundra taluka has been famous for its cultural diversity. Communities such as Gadhavi, Charana, Rabari, Vagher, etc. live here with their diverse traditions, diverse artifact and possess diverse cultural heritage. The place where the ship-breaking yard is proposed, village Vandh, is known for its Vakala Mata’s fair, celebrated every year, and people from entire India come here. In this village, people live in traditional houses, Bhoongas, for times immemorial. It can be called a heritage village. Embroidery and stitching work of these villages is known worldwide. This village is also known for its culture of Rabari community. Due to this project, the cultural heritage of this village will be lost. The ship breaking yard will ruin the surrounding area completely. It is an environmentally high sensitive area. In this area, 5,333 hectare of land contains mangroves forest. This area was declared as conserved land for mangroves on October 9, 1969. Due to this project, the mangroves forest will be ruined completely. The company has not mentioned about this in its EIA report. By overlooking environmental rules the company is demanding environmental permission, which is a violation of EIA Notification 2006. The coastal areas of Mundra taluka, especially Mundra, Dhrab, Zarpara, Navinad, Tunda, Siracha, Kandagara, etc. villages, are situated next to the inter-tidal zone. The tide here is about 7.5 metres high. The coast comes next to West Bengal in regard to tide and ebb. The surrounding villages of this area are rich in agriculture and horticulture. If a project like this comes up in such a rich lively environmental and agricultural area, environment, agriculture and living assets will be destroyed. Due to this ship-breaking yard, poisonous chemicals, minerals and solid waste will be spread over the inter-tidal zone and increase pollution in the coastline. The conserved forest land, including the grassland known as Bharadi Mata Dhubo, will be in danger. The cattle herders of Zarpara, Navinal, Siracha, Dhrab, Tunda-Vandh take their cows, buffalos, goats, sheep and camels to this grass land for grazing. If the poisonous chemicals and wastes are spread over this land, cattle grazing will go extinct. There will be heavy loss to livelihood of the people of the area. The rich economy will be heavily impacted. Milk and dairy production will suffer. Thousands of people will lose employment. Who will give them employment? What steps will be taken for them? If they lose their conventional occupation, the impact on their social life and economy will be severe. The total land of 3,225.54 acre of these 10 villages has been allotted to Mundra SEZ. There are 23,800 animals in this area. As the gauchar land of this area has been given to SEZ, the cattle herders of this area have no land for their animals. Cattle herders will have to take their cattle to the surrounding forests for grazing. If ship-breaking yard is built here, the poisonous chemicals, grease, oil, asbestos, PVC, etc will spread over the grass land, and when cattle graze on this land, their milk will be seriously impacted, which will have its impact on people. 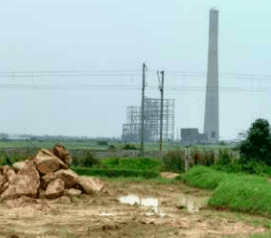 The rules of CRZ notification of 1991 and 2011 have also been violated by the Adani company. The land chosen for ship breaking yard comes in CRZ-1 and the entire area, sand dune, and mangroves have been destroyed. The creeks of this area have been filled up, which can be seen in the satellite images of this area from 2001 to 2013. The inter-tidal area from north to south, of 5,390.10 metres, and the creek area of south-east of 6,986.5 metres, has been filled up. 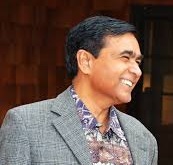 The Adani company itself has said that the entire area has been reclaimed. It proves that the area is created by demolishing mangroves and creeks. The natural streams have been closed due to which the danger if calamity and casualty in the surrounding area has increased. The census data of the villages in the EIA study on the ship breaking yard are based on Census 2001, whereas data of Census 2011 are available. In the EIA report the 10 km area includes only Zarpara, Navinal, Siracha, Tunda and Vandh villages. However, the nearest villages like Dhrab, Mota Kandagara have not been included. Why this has been done is not known; nor is it known what would be done in case serious harm is done to the population of these villages.